"The public thinks big, sensible, measured thoughts while people run around doing silly things"
The book falls in the category of things that bring back faith in humankind. The protagonist of the book is Mary Smith and her friend Miss Matty Jenkyns. Mary Smith basically tells what happens during numerous visits to Cranford over the span of quite a lot of years. 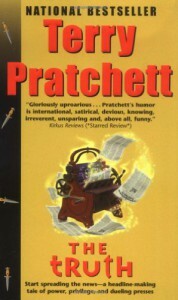 The setting is a small town during the industrial revolution in England. 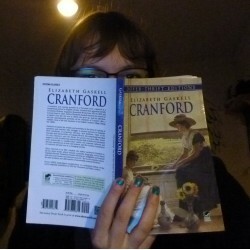 The book tells about the life of the ladies living in Cranford. 'We all love Miss Matty, and I somehow think we are all of us better when she is near us." Saying that the book is unbearably cute also reminds me that at moments it was unbearably sad. It is both sad and warm at the same time. A moving book is a very good way to sum it up. The second reason I like the book so much is that it gives a good idea of how life was in those times. The book is a great account of the forms of society of that particular time and about which actions were condemned and which not. That does not mean the ladies of Cranford did not manage to surpass that when needed to assist a friend. Cranford is a very good town. As conclusion I would say that everyone who enjoyed the classic books like pride and prejudice and North and South because of the language and the spirit of the age would certainly enjoy Cranford as well. The ladies are almost all of a respectable age so a juicy boy meets girl love story is not to be expected. Still it is a book about real people dealing in their own quiet ways with the problems they experience. People hating this book would probably say it is boring and that nothing is really happening. Also you could comment on the old-fashioned writing style as being impossible to digest. Those two things might be true but I promise you: once you get used to the writing and you become a part of the Cranford society you will mourn the day you read the last page. Also you will find yourself thinking in a slightly more sophisticated English as you are used to by being so engrossed with the story. At least it was like that for me. There is for those who like to watch moving pictures also a TV-series from the BBC, kings of the costume dramas. The story differs slightly but is the same in spirit and heart warming qualities.